This topic has 1 voice, contains 0 replies, and was last updated by TB Support 1093 days ago. Highly customizable product filtering and faceted search for OpenCart. This is the recommended filtering extension for Pavilion theme. 1) Enter the “Mega Filter PRO” admin panel, select the TB_Widgets layout for the module and enter sort order. Make sure you do step 2 and 3 for both module default settings and already inserted instances! 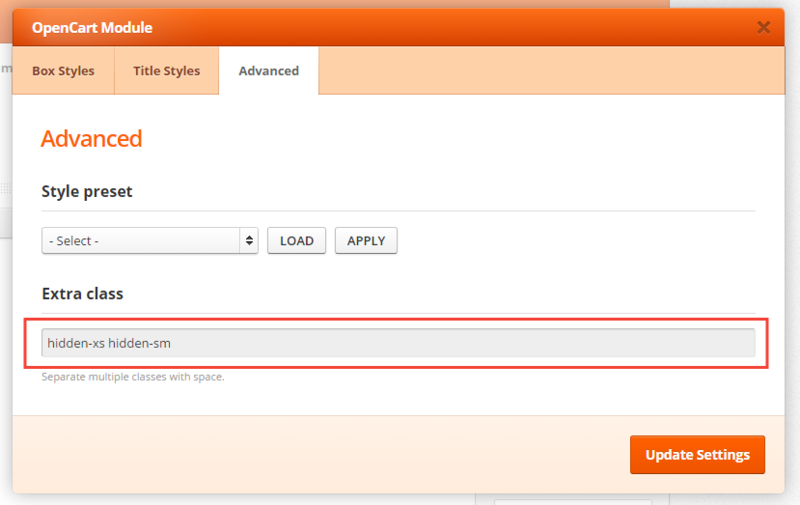 4) You should be able now to add Mega Filter Pro instances in Pavilion page builder. The topic ‘Mega Filter PRO / PLUS’ is closed to new replies.